This Site is owned by QEP. Unless otherwise noted, all text, images, illustrations, designs, icons, photographs, video clips, links, logos, icons and other items and other materials that are part of or posted on this Site (collectively, the ‘Content’) are copyrighted works, trademarks, or other intellectual property owned, controlled, or licensed by QEP. All rights are reserved. This Site may contain links to websites and resources owned by other individuals and entities (collectively, the ‘Third Party Sites’). If you decide to visit the Third Party Sites, you acknowledge and agree that (1) you do so at your own risk, (2) it is your responsibility to guard against time bombs, trojan horses, viruses, worms or other computer programming routines that could alter damage, expropriate, intercept or interfere with your computer system, (3) QEP is not endorsing, nor is it responsible for, the information, advertising or the content contained on the Third Party Sites, or the products or services promoted, offered by or sold on the Third Party Sites, (4) your access to and use of the Third Party Sites is subject to the Third Party Sites’ terms and conditions of use (including their respective privacy polices), (5) QEP makes no representations or warranties regarding the accuracy, appropriateness, availability, completeness, freedom from viruses, performance, quality, security or timeliness of the Third Party Sites or their content. THIS SITE AND ITS CONTENTS ARE PROVIDED ON AN ‘AS IS’ BASIS WITHOUT WARRANTIES OF ANY KIND, EITHER EXPRESS OR IMPLIED, INCLUDING WITHOUT LIMITATION WARRANTIES OF TITLE OR IMPLIED WARRANTIES OF MERCHANTABILITY OR FITNESS FOR A PARTICULAR PURPOSE. 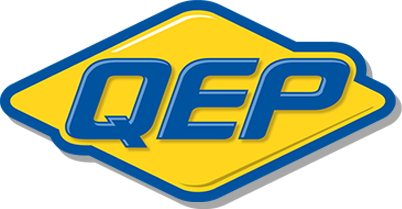 YOUR USE OF THIS SITE IS AT YOUR SOLE RISK, AND YOU ASSUME FULL RESPONSIBILITY FOR ALL COSTS ASSOCIATED WITH ALL NECESSARY SERVICING OR REPAIRS OF ANY EQUIPMENT YOU USE IN CONNECTION WITH YOUR USE OF OUR SITE, AND QEP SHALL NOT BE LIABLE FOR ANY DAMAGES OF ANY KIND RELATED TO YOUR USE OF OUR SITE. Please note that some jurisdictions may not allow the exclusion of implied warranties, so some of the above exclusions may not apply to you. Check your local laws for any restrictions or limitations regarding the exclusion of implied warranties. TO THE FULLEST EXTENT ALLOWED BY LAW, QEP, ON BEHALF OF ITSELF AND ITS AFFILIATES, EXPRESSLY DISCLAIMS ANY LIABILITY FOR ANY CONSEQUENTIAL, DIRECT, EXEMPLARY, INCIDENTAL, INDIRECT, PUNITIVE, SPECIAL OR OTHER CLAIMS, DAMAGES, EXPENSES (INCLUDING REASONABLE ATTORNEYS’ FEES) OR LOSSES, INCLUDING DAMAGES FOR LOSS OF USE OF THE MATERIALS OR THE CONTENT, LOST ACCESS TO THIS SITE, LOST PROFITS, OR OTHER INTANGIBLE LOSSES, WHETHER IN CONTRACT, TORT (INCLUDING NEGLIGENCE), STRICT LIABILITY, PRODUCT LIABILITY OR ANY OTHER THEORY OF LIABILITY, ARISING OUT OF, CONNECTED WITH OR RELATED TO YOUR ACCESS TO OR USE OF THE SITE, THE MATERIALS, THE CONTENT, THE THIRD PARTY SITES EVEN IF WE WERE ADVISED OF SUCH POSSIBILITY, OR IF SUCH CLAIM, DAMAGE, EXPENSE OR LOSS WAS FORESEEABLE IN ANY WAY.